smartphenom.com: Nokia introduces Asha 210 budget mobile phone - Too many smart phone systems? Nokia introduces Asha 210 budget mobile phone - Too many smart phone systems? 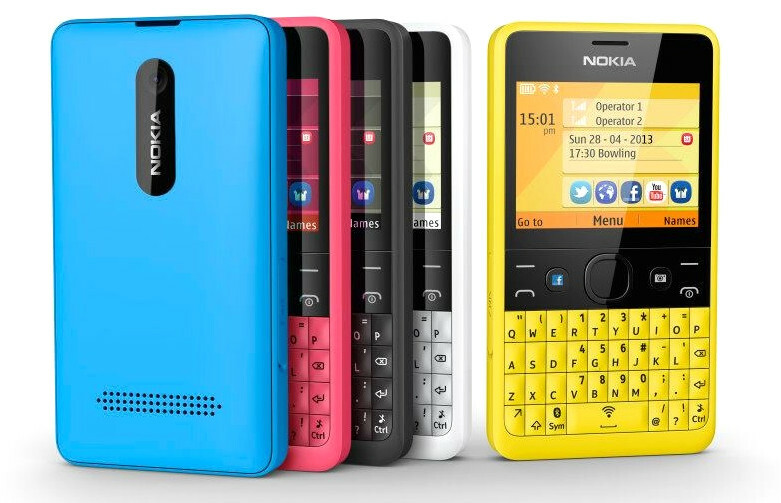 Nokia unveiled yet another device in its Asha family: the Nokia Asha 210, built to offer an enhanced social experience at a budget price. The Asha 210 (which will also have a DUAL-SIM version) has Wi-Fi but -surprisingly- lacks 3G support (GRPS/EDGE only). button for instant messaging. Nokia and WhatsApp partnered to offer this service for free on all Nokia Asha 210 devices. Together with Facebook, Twitter and email support, the Nokia Asha 210 might attract avid texters willing to spend little money on a phone. The camera is OK for the price with a 2MP sensor that can be accessed through a dedicated hardkey even when the keypad is locked. The smart camera also offers a choice of image capture, editing and sharing. The Asha 210 also has the Nokia Xpress Browser which uses Nokia's cloud technology to reduce data consumption by up to 90 percent, very helpful when you're on 2G or on a limited data plan. It will be available in yellow, cyan, black, magenta or white and "only" costs $75, so you should look for another excuse (such as the ageing OS or the 2008 features) to skip this little handset.